For more information about aviation English education for pilots from Jeppesen, download the ICAO Aviation English Testing and Training printer friendly document. Trainees Build Confidence: Trainees can learn at their own pace in a non-threatening environment. They build confidence because of the number of assessment tools, feedback to a variety of quizzes and tracking of their progress. This prepares them for a higher level of learning during the on-site sessions. Trainees Hear and Repeat the Language: Jeppesen's courses use multiple voice professionals who demonstrate correct usage of Aviation English. Trainees can listen to each lesson as often as they want to help them get comfortable with the language. Sophisticated pronunciation exercises are a part of the Aviation English Program. This allows trainees to record and get feedback on their speaking skills. Trainees have Maximum Flexibility: Rather than leaving their work to travel to a training facility for a long period of time, trainees can schedule their Aviation English training around their individual schedules — at the office, at a training center, at home, while traveling — anywhere they have access to a PC. Professional Trainers:Jeppesen certified trainers, who are ESL professionals, deliver the on-site portion of the program. Expansion of Online Content:The on-site sessions give the trainees a deeper understanding of the course content while they are developing their language skills. Development of Speaking Skills:During the classroom sessions, trainees get extensive practice in the listening and speaking skills that are so important for radiotelephony. Trainees participate in a variety of activities to improve their use of ICAO phraseology and to learn how to communicate in both standard and nonstandard situations -- skills that pilots and air traffic controllers need to reach ICAO's required Operational Level 4. Controlled Setting: The controlled setting of a classroom provides the opportunity for additional testing and evaluation. 1. Read through the “Course Details” document in full and contact us with any questions. 2. Complete online registration for at www.jeppesen.com/trainingregistration. 3. After receiving your registration Jeppesen will then issue you a visa invitation letter if required, and then contact you to arrange course payment. 4. Once a course payment has been received, Jeppesen will then ship you out a student kit (Jeppesen flight bag full of course notes, reference publications, test prep software/books, flight planning calculator, etc). 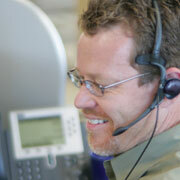 Jeppesen will then work with you via phone and e-mail support on preparation study. *Preparation study is the top suggestion of past graduates for incoming students. Do not make the mistake of waiting until class to begin your study, as you will not get the most from your training experience – regardless of your background. Interested in Commercial or Military Aviation products? Click here to request more information. The latest news from Jeppesen. Keep up with aviation news while you're on the go! Revolutionize your operations with the new EFB for airlines.